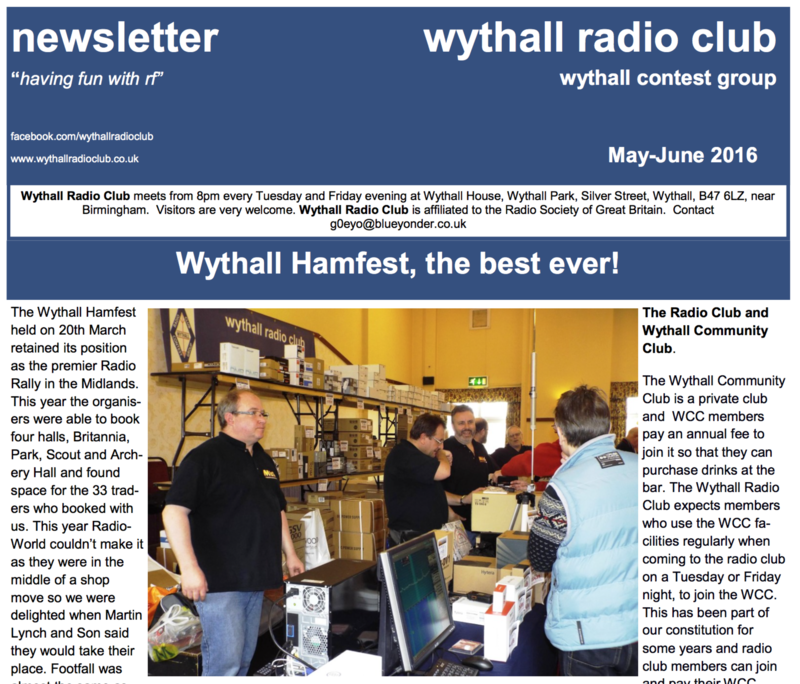 The worlds largest Amateur Radio event is coming to Wythall Radio Club, well… kind of! 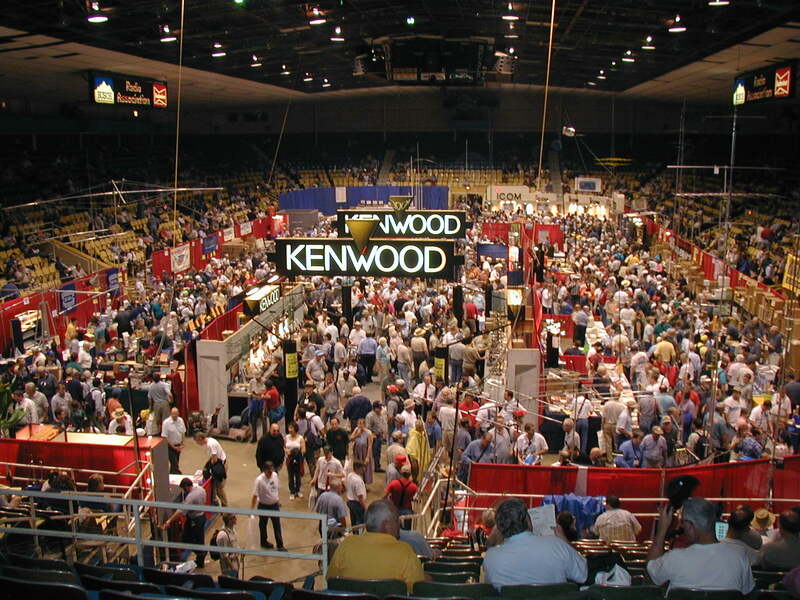 Dayton Hamvention takes place this weekend in Ohio, USA and amateurs from all over the world are currently travelling there. One way they are keeping in touch with each other is via the D-STAR amateur digital network. 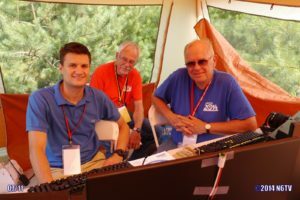 Fortunately, Wythall has it’s own D-STAR repeater, GB7SO and for the next few days it will be linked to the Dayton Hamvention reflectors, enabling local Hams here in Wythall not just to listen to the radio traffic taking place there, but also allowing us to actually talk to people in the halls live! So if you want to get a flavour of what the world’s greatest Ham event is like, just tune your D-STAR radio to GB7SO, listen in and maybe even take part! Radiosport is the theme at Wythall Radio Club this week. The World Radiosport Team Championship (WRTC) is the focus of our weekly meeting. 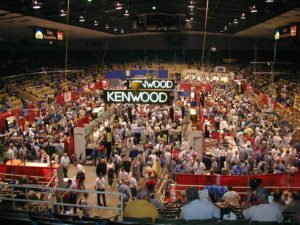 This is a radio contesting event, held every four years, which attracts the very cream of ham radio operators from across the world. In essence, it consists of 50+ two-person teams of amateur radio operators competing in a test of operating skill. 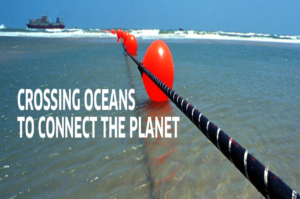 Previous WRTCs have been held in places as diverse as the USA, Slovenia, Finland, Brazil & Russia. But it is the most recent one held in New England in 2014 that is the subject of this Tuesday’s club evening. A fantastic video was made of this event and, thanks to our facilities in the club shack, we will be watching this on our own “big screen”. What not come along and join us for this fun evening? This Tuesday 17th May at 2030 at Wythall House, Silver Street, Wythall B47 6LZ. You will be very welcome! 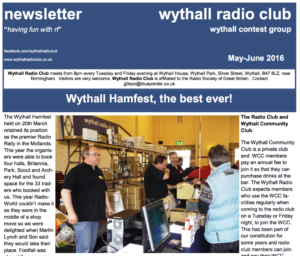 The May 2016 edition of the Wythall Radio Club Newsletter is now available for download. Just click here! 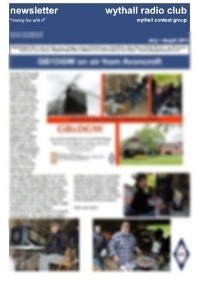 Features include a report on the fantastic 2016 Wythall Hamfest; a look at going bicycle mobile with new member Chris G3YHF; more details on how we achieved a Foundation pass for our visually impaired student, David and a 100 watt amplifier for 144MHz at little cost. There’s lots more besides, so download today – worth a read, especially as it’s free! Thanks to all our contributors and of course Chris G0EYO, our faithful newsletter editor, who is in the throes of a house move, so how he’s found the time, who knows? “The month of May is traditionally when Wythall Radio Club celebrates Morse Code”, writes Club Morse supremo Lee G0MTN. “For many years, our late club President Lew Williams taught morse in the classroom. Following his passing a few years ago, we decided to remember him and his passion for morse by having an activity month in an attempt to inspire as many members as possible to progress, to try, to play with, and to use morse code. 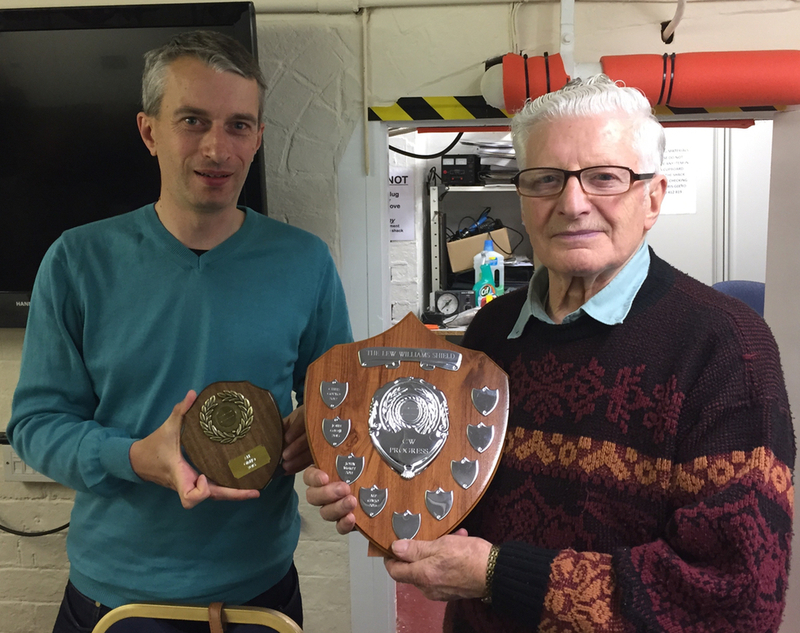 The Lew Williams Shield is awarded to the club member who demonstrates the most progression with morse during May – so those relatively new to CW are still in contention with the older hands. In past years, stories have been shared of nervous ‘first CW QSOs’ on HF, followed by relief and pride upon completion!